The Napoleon Black 9" Flashing has a sophisticated black color and traditional elements to boot. The three piece stepped design is constructed with consideration in mind for the average hearth owner. All of the attachment and assembly hardware is included, substantiating the point. Make ease of installation part of your hearth. 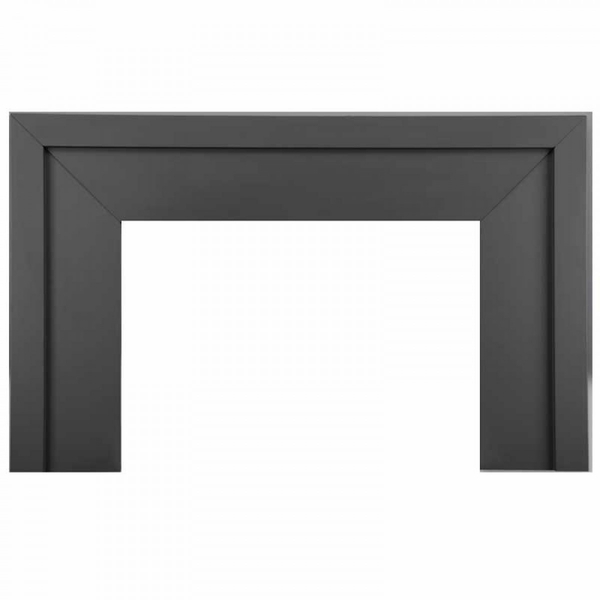 Designed to seamlessly enhance your aesthetic, covering the gap between the insert and fireplace edges, this impressive product is worthy of your consideration. What are the dimensions of the outside and inside? This surround is made specifically for use with the Napoleon GI3600 insert and may not work for your application, but the approximate inside measurements are 21 1/2" H x 31" W with outside measurements of 30 1/2" H x 49" W.
What is the measurement of insert opening? The insert opening measurements are 30 1/8" x 22".